Contact Cat Connections HQ at Cat Connections HQ to express your interest. Another successful adoption - amazing work Cat Connections HQ! More successful adoptions - amazing work Cat Connections HQ! 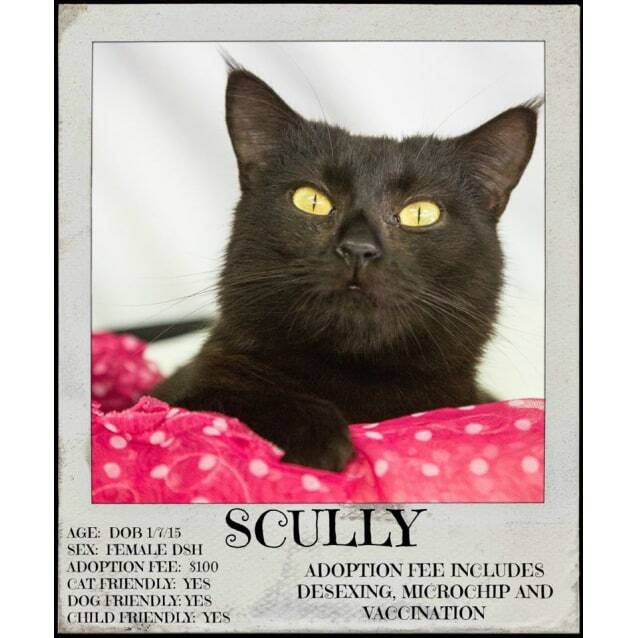 Scully is a quite girl who loves all the creature comforts in life. She still loves to play with toys and run around the house when the mood takes her. she is a well behaved cat that would just love to be part of a family. All of our cats/kittens are (or will be) fleaed and wormed, desexed, immunised, vet health checked and micro-chipped (in CCHQ's Name unless asked otherwise). The purchaser will receive all vet paperwork including a microchip Transfer of Ownership Form upon pickup of their chosen cat/kitten. Payment must be received in full before the cat/kitten leaves our care. We ask that all cats and kittens getting adopted are indoors only unless they have a cat enclosure to enjoy.